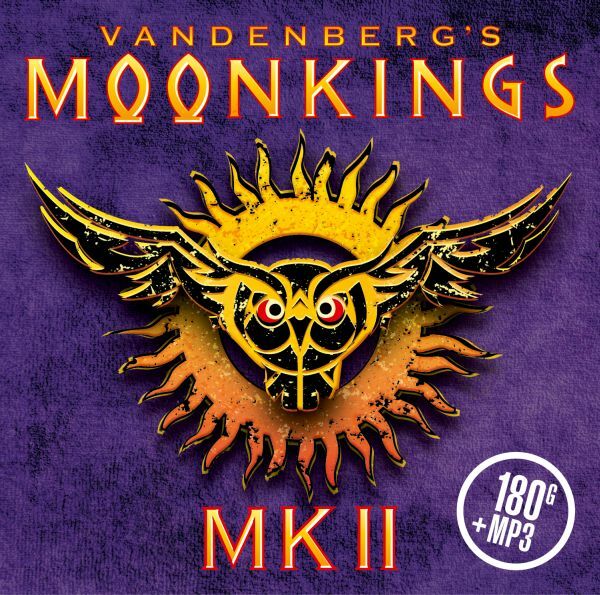 VANDENBERGs MOONKINGS - MK II VINYL (LP+MP3) | Online Shop | Wizard LTD. Album: "MK II VINYL (LP+MP3)"
Adrian Vandenberg is famous for being a member of Whitesnake, Vandenberg and Manic Eden. Four years after Adrian Vandenberg made a spectacular comeback with Vandenberg’s Moonkings the band returns with a sophomore album, simply titled MK II. The album has all the qualities of the debut: once again the four-piece band manages to create a perfect mix of vintage seventies hard rock and current styles of heavy rock. Adrian Vandenberg shines as a bona vide guitar virtuoso, while the rest of the band also delivers in spades. Yet MK II has even more to offer than the highly praised first album. It shows how the band grew into a strong unit during the world tours of the recent years. Adrian also felt confident enough to seek new edges for his lyrics. “With the track “What Doesn’t Kill You” I tried to reflect on the time we are living in. Usually I shy away from political statements, but the insanity that currently surrounds us is so mind blowing that I felt the need to let off some steam”, he explains.